The new upgrades include a better integration with Apple’s iOS mobile devices and apps — namely iBooks, iWork programs, iCloud keychain passwords. 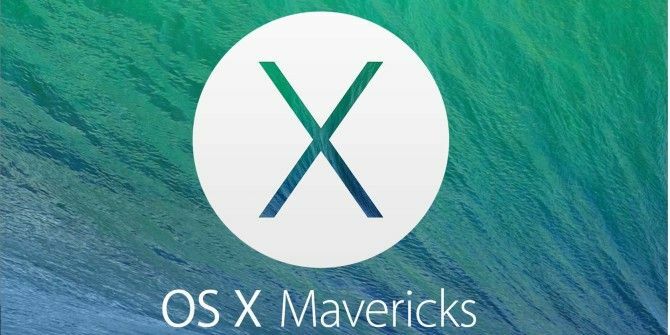 Apple says Mavericks includes over 200 new features, including upgrades to the Finder, Calendar, Safari, Maps, and improved support for multiple displays. The Finder now allows you to open and move between tabs, consolidate multiple Finder windows into one, and add tags to files no matter where they are located. The Safari update includes a sidebar view of user bookmarks, the Reading List, and Shared Links from your Twitter and Facebook contacts. Mavericks comes with a desktop version of iBooks which integrates with the iOS version, and Notifications now allows you to reply to mail or messages right from the notifications window, and from within any app. The Calendar application received a clean redesign with support for GPS map views to locations of your listed in events. You can also view holidays and Facebook events in Calendar. is received, and sent on an iPhone (different operating system of course). ESP folks are mystified, finally said wait for mac to fix with 10.9.1 or before. This not good of course. Any ideas? Thanks! Peter, I suggest trying to make an appointment with an Apple Care person at the Apple Store and let them see what's going on. You might try to going onto the Apple Support website and posting your issue there. Most of the time I find that if others are experiencing the same problem that eventually a solution will be found. Also check to see if your mail is arriving in the web version of iCloud. That way you can see if it's a server problem or a Mail application problem. It looks like the earliest version you can upgrade from is 10.6.6, not 10.5. Hey Anthony, thanks for letting us know. I was going off information I got on an Apple webpage. I am a beta tester for mac os x maverick. All I will say unless some one wants more detail is Awesome. I read elsewhere that an upgrade at this time wasn't that good an idea unless there were features you really wanted. Cited were some bugs and a slower system. The advise was to wait for these problems to be addressed. The feature I wanted the most was better dual monitor support so I upgraded. I'm loving how each monitor feels like its own separate workspace vs the second monitor merely functioning as an extension to the main one. Haven't encountered any bugs or slow downs so far but I'll keep an eye out since you mentioned it. As mentioned in my reply earlier, dual monitor support was what I wanted and they gave it to me in spades. To find out upon release that the whole upgrade was for free was an amazing bonus. It's a killer move to make their core software free, though I believe this should have been the case from the start. Apple customers pay a big premium for their devices so it always sort of felt that their software should be part of the package. Of course you could always get the latest OS plus iLife (Garageband, iPhoto, etc.) for free with every new system you bought but the big upgrades were always charged, albeit at a good price. What bugs me is that in order to get iWork for both iOS and OSX for free, you need to buy a new device. I know it's always been Apple's MO to dangle some carrot in your face to have you upgrade but it's strange because myself and any other person who hasn't bought iWork yet is probably not going to until we upgrade. iWork for iCloud is also available so I don't see myself upgrading my iMac anytime soon. But hey I'm just one guy. Yannis, you're so right about how Apple sort of compels you to upgrade devices in order to support upgraded apps and newer versions of the OS. In order to keep up, you almost have to update your hardware like every 3-5 years. I haven't upgraded on my iMac because I'm still waiting to see if Dragon Dictate is going work on Mavericks.